Uganda has an under-resourced school system but educational administration at national and local levels works well. There are national standards for schools which are professionally monitored by school inspectors. In order to overcome the shortage of resources within the state sector the entire education system was opened up to allow investment in new private schools by individuals, businesses and voluntary groups. This liberalisation of the system has led to the creation of many new schools – some of them in very fine buildings and charging high fees, others, especially in rural areas, are grossly underfunded. The Humanist schools unfortunately fall into the latter group. The government is happy that new schools are being set up and they take a pragmatic approach when monitoring them at the start. Schools, even private ones, are inspected regularly and they are expected to show consistent improvement. However, all secondary schools are required to have: an adequate number of classrooms, offices for staff and administrators, access to fresh water, a science lab and at least 8 fully qualified teachers. Additionally, if they want to be able to run national examinations on the school site, they are required to have a school hall with windows to keep out the wind and rain. Schools without a hall have to make arrangements for their students to go to a school which is an approved examination centre, and this can be some distance away. All the schools supported by the Trust have been established since 2005. Currently Uganda Humanist Schools Trust provides financial support to the following secondary schools: Isaac Newton High School, Kateera, near Masaka and the Mustard Seed Secondary School, Busota, near Kamuli. We also help Kasese Humanist Primary Schools by providing grants for books, 10 scholarships for high achieving children to attend a Humanist secondary school and money for staff development. Kasese was first established in rented railway buildings in 2011 but has now expanded on three sites. As our relationship and understanding with that school grows, and as it formalises its governance arrangements, we hope to be able to provide additional support in future. Interviews during International Friendship Week 2010. St. Louis Ethical Society Podcast about the Humanist Schools. The schools are in the process of securing long-term leases on the school land and each school has a growing estate of buildings. Isaac Newton High School is the most developed of the schools. It has the following buildings: an administration block, a four classroom block, a large science lab and prep room, a multi-purpose examination hall which can be divided, with temporary partitions, into 3 more classrooms. It also has a new solar-powered computer room (foreground) with a network and 20 work stations. 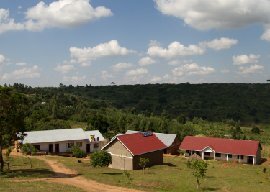 As a result of a bequest and a large grant from supporters in South Africa and St.Louis in the United States, we have been able to fund the construction of two purpose built girls’ hostels. A boys’ hostel has also been added. 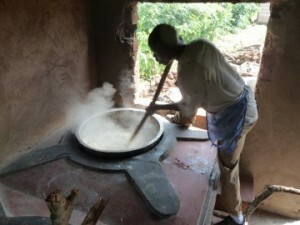 There is a well-equipped kitchen with efficient wood-burning stoves and two rooms where teachers can sleep. The school has also added a system which pumps water from a well in the bottom of the valley to a header tank where pipes will gravity feed water around the site. The school is being connected to mains electricity as part of a project funded by members of Leicester Secular Society and a Briton working in California. Tis project will also bring power to the neighbouring community. New “Blair-VIP” vented toilets for boys and girls, additional wash rooms, a reception room at the school gate and a school tuck shop have been added in the past year. A new teaching block has been completed recently with 3 classrooms and a second science lab. The school still has further important needs. 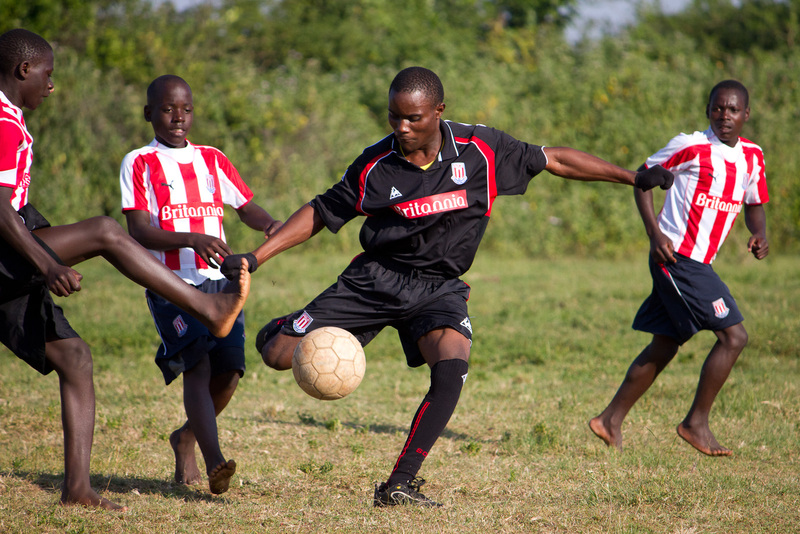 For sports, the students have to walk to a village playing field some way from the school and they need a playing field closer to the school. Constructed for 200 students, the school now educates over 500. The recently completed new teaching block will allow the school to expand to two-stream entry. Classes will be brought down to a more reasonable size of 50 (some have over 100 students). In time we hope to equip each classroom with audio-visual facilities, giving classes access to modern on-line teaching resources. The Mustard Seed School operates on a split site. The rather cramped original site houses the school administration, a large building which is used for assemblies and for national examinations as well as being used for classes. It has a small, and rather cramped, science lab combined with a library and adjoining classroom. There are other small rooms where teachers do their lesson preparation and marking. The site also houses a girls’ hostel and the school kitchens. Additional land and buildings have been purchased near the original site, which provide more classrooms as well as being the site of the boys’ hostel. Land has been cleared and levelled to create space for a playing field. On the edge of the playing field we have recently funded the construction of a new 4-classroom block, with additional staffrooms. A fine new school hall is also being constructed for assemblies and music, dance and drama performances. The most important resource in any school is its teachers. Each of the schools has a small, loyal group of teachers who do their best to deliver the curriculum. All the schools are gradually employing more full-time teachers but they still rely heavily on part-time teachers to provide coverage of the whole secondary curriculum..
Raising sufficient money to offer secure salaries for well-qualified teachers is a challenge. The Trust is working with the schools to find ways to improve their ability to attract and retain good teachers. We have provided funds to refurbish staff rooms to improve the conditions of teachers for preparation and marking. In 2011 we also instituted an annual staff bonus for teachers who have stayed with the school for the whole year. This helps teachers over the long vacation between the end of one year and the start of the next and has greatly improved staff retention. Both schools have now given most teachers contracts of work and has enrolled them in the national Social Security scheme, so they will accumulate pension credits. This is a contributory scheme where teachers pay in 5% of their salaries and the schools contributes a further 10%. This development should have a substantial effect of morale and retention. The schools are also introducing a staff saving scheme to help teachers with their financial management. Each school has made considerable progress in improving staffing by employing full-time fully qualified graduate teachers. Both have been making a concerted effort to attract interns, bright undergraduate students from top universities, who are using part-time teaching at the schools to pay their way through university. In the past two years former students from the schools, who have been away to take degrees and teacher training, have been returning to the schools, wishing to put something back into their community by becoming teachers at the schools which gave them their break in life. Having clean water for drinking, washing and cleaning has been a problem in all three schools. Water had to be carried in jerry cans into the schools so there was little water for drinking – perhaps one drink a day – and students were not always able to wash their hands after visiting the latrine. This was a serious health issue. The Rationalist Association and readers of New Humanist paid for the first borehole and lift pump at the Mustard Seed School, but this has now been pumped dry. We have recently paid for the school to be connected to piped water, from a new pumping station on the River Nile, a few kilometers from the school. 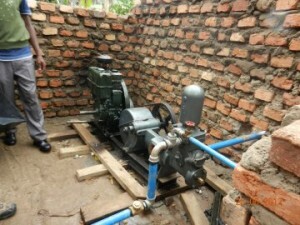 This has completely solved the school’s water problems and has brought water to the community around the school. We helped the Isaac Newton School by putting in two large 5,000 litre tanks to store water collected from the roofs of classrooms, and Walsall Rotary and Birmingham Humanists paid for a similar collection system on the new girls’ dormitory block. Increases in student numbers in 2012 and recent droughts made the situation still more critical. UHST made it a priority to find a substantial amount of money for an ambitious new water system which uses an engine to pump water from a newly constructed well in the bottom of the valley to a header tank several hundred metres up the valley side. This allows the school to use gravity-fed water pipes to take water around the school, starting with the girls’ dormitories and kitchen. With the growth in student numbers it has been necessary to constuct a 100,000 litre underground tank to store rain water to boost supplies. The school now has enough water to feed a stand pipe in the nearby village. Many of the students walk a long way to school and few have breakfast before they leave home. As a result concentration falls with blood sugar levels. To combat this problem the schools have found that they need to provide the students with a good meal each day. Constructing a kitchen and employing cooks are necessary costs and the schools are all making an effort to grow their own food. The students help with this and it provides a practical aspect to agriculture which is taught as an examination subject. It has been a priority to improve the kitchens in the schools and to install efficient means of cooking instead of relying on the inefficient method of placing cooking pots on three stones over an open fire. The growth in students numbers and in boarding at Isaac Newton and Mustard Seed School has required us to find money to invest in new kitchens at the school. Now each school has efficient wood-burning stoves which have eliminated smoke inhalation by the cooks and reduced wood consumption by over two thirds. The new kitchen at Mustard Seed school is illustrated. International educational research demonstrates the important contribution that books and reading make to raising educational standards in rural schools in developing countries. Fostering a reading culture is particularly crucial for the schools, because they all operate in areas where primary education is basic and many students have poor levels of reading and writing when they enter secondary school. Also, as Humanist schools, they see it as important to foster a spirit of independent enquiry and they appreciate that high standards of reading and writing are important if students are to be successful in adult life. Although books are expensive, the schools want to provide every student with their own textbook in each of the main subjects. They are also trying to build up libraries to encourage reading for pleasure. At the present time they are a long way from the ideal and would appreciate assistance from individuals and groups. The photograph shows the Isaac Newton School’s new lending library. All teachers acknowledge the huge contribution the rich supply of books has made to improving educational standards and exam results. In the early years of the schools, there was a desperate shortage of visual material in the schools, which made teaching difficult. For example, in Geography lessons on glaciation students had to be content with listening to the teacher and copying notes from the chalk board. There were no pictures available to show the students exactly what a glacier looks like – even though there are glaciers on Mount Stanley in the Ruwenzori Mountains of Uganda! After flooding the schools with books over the past decade and equipping the schools with well-resourced computer networks there are now very good resources, text, visual and audio-visual, to support learning and for private study. Humanist schools value the contribution that science makes to human progress and seek to reflect this in the curriculum. 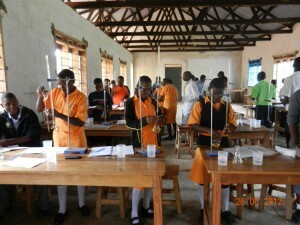 The Isaac Newton School was the first of the schools to have a dedicated science lab, built with assistance from IHEU. Mustard Seed has built a science lab with help from the founder’s family and UHST. 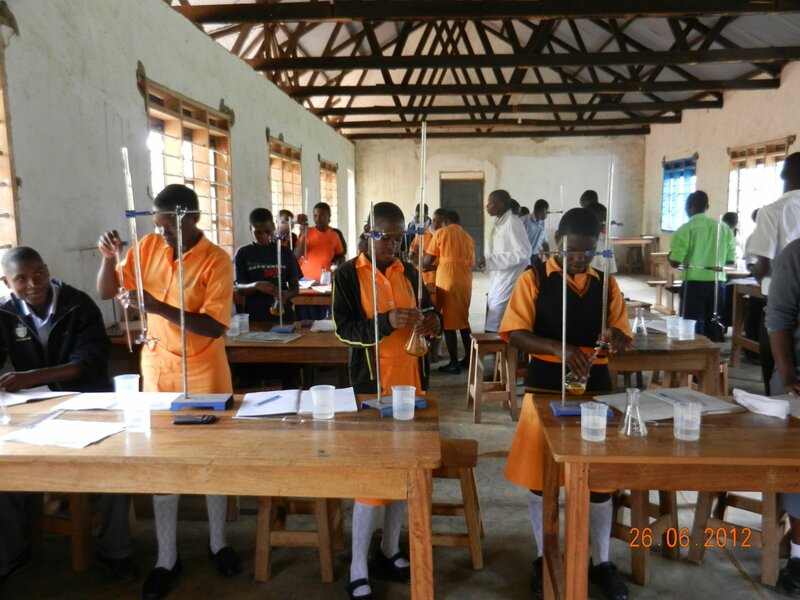 UHST is now working with a science supply company in Kampala to provide the schools with adequate laboratory equipment for them to do science in a practical way. The need for electricity has risen up the list of priorities. UHST worked with HAMU, the Norwegian Humanists, to connect the Mustard Seed to mains electricity, and we have recently extended main power to the new school site. We have recently funded additional solar power as a back up during frequent mains power cuts. Solar panels that we have put into the Isaac Newton School have enabled the school to install a computer network. This has brought a huge increase in learning resources including a huge off-line encyclopedia, 800 electronic books and many DVDs of films and Shakespeare plays. We have also provided funds for solar power on the girls’ dormitories to provide lighting and power for a radio and mobile phone charging for the matron. We are currently in the process of funding the connection of Isaac Newton School to mains electricity. We have just funded the purchase, for each school, of new high-speed, low running cost RISO printers, which will greatly reduce the cost of printing, which has been done outside the schools up to now. We would like to make laptop computers available to teachers in each school to help them with their lesson preparation and record keeping and would welcome donations of these. As we all know, a good school is more than buildings. It is defined by the richness of the activities that take place within it. Teachers, books and equipment are important as are the whole range of curricular and extra-curricular activites which the schools offer their students. When the only resource is a chalk board, chalk becomes a significant item of expenditure. While students are normally asked to provide their own pens, pencils and exercise books, the schools also have to have stocks for children who cannot afford to buy their own. Stationery and printing has to be arranged outside the school for essential handouts and money must be found for national examination fees. In a recent meeting, where students were asked to discuss how they would like to improve their schools, one child quoted his father as saying “All work and no play makes Jack a dull boy!” We might wonder who taught his father the phrase but the implications are clear. The boy went on to say that their school had cleared land and made goals to create a football pitch and they had a team that had won matches in the local school league. However, their only football had burst so their playing was temporarily halted. They urgently needed a new football and other students put in an impassioned plea for basketballs and netballs. The two secondary schools enter both boys and girls in their district football championships and each school has emerged the winners on more than one occasion. All the schools promote dancing and singing, which are low-cost activities, but they are also very keen to obtain materials for arts and crafts. The schools are trying to create school farms and establish stock rearing in order to bring agriculture lessons to life. The Isaac Newton School, for example, promotes pig rearing in the small farms around the school. This also gives the agriculture students valuable practical experience. In recent years, both Mustard Seed and Isaac Newton High Schools have seen substantial improvements in their examination results. Each school has students who have achieved Grade 1 aggregates at O-level, achieved only by the top 8% of students in Uganda. Their first A-level students have shown outstanding achievement, with growing numbers of students in each school gaining government scholarships to study in universities, national teachers’ colleges and nursing and health workers colleges. Already among the best performing schools in their Districts, they have each experienced large increases in student recruitment. This is to be welcomed as it moves them closer towards being self-sustaining. However, in the short term, it means they need increased support if progress is to be maintained. 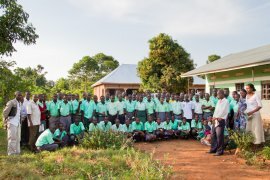 Although recently established, the Humanist schools in Uganda are making remarkable progress in bringing secondary education to children who would previously have had none. They have committed and energetic school managers and teachers with a vision for the future. We hope you will want to work with us to help the schools to develop.